Bar Bukowski, named after writer Charles Bukowski, is one of those bars you can both start and end your day at. They open for breakfast at 8:00 a.m. and close well after midnight, making it a hang out for freelancers, neighbors, groups of friends and anything in between. 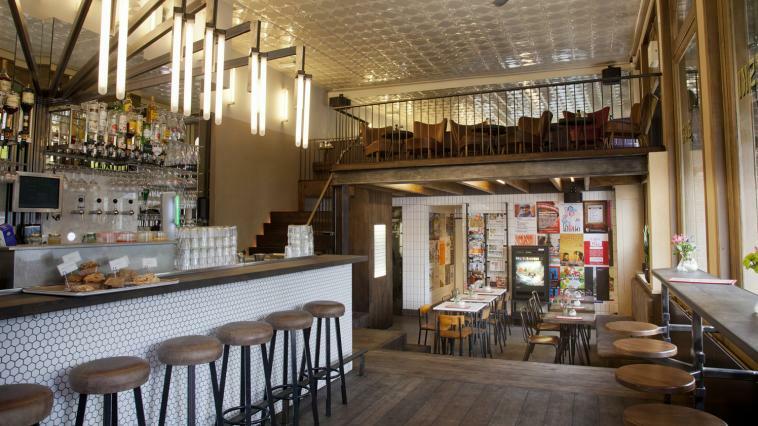 You’ll probably end up staying longer at Bar Bukowski than planned. A big hooray to their all-day breakfast menu! 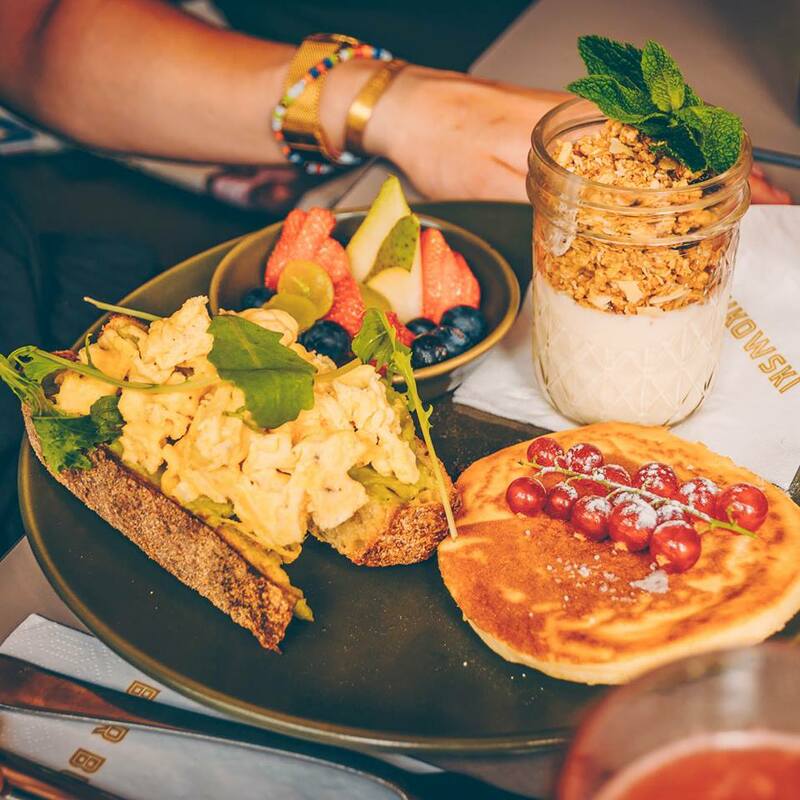 Mashed avocado on toast, American Pancakes, French Toast, Açai Bowls and Eggs any way you like them. They have it all. Dinner is not really their thing but if you’re the type of person that can survive on bar food that shouldn’t be a problem. 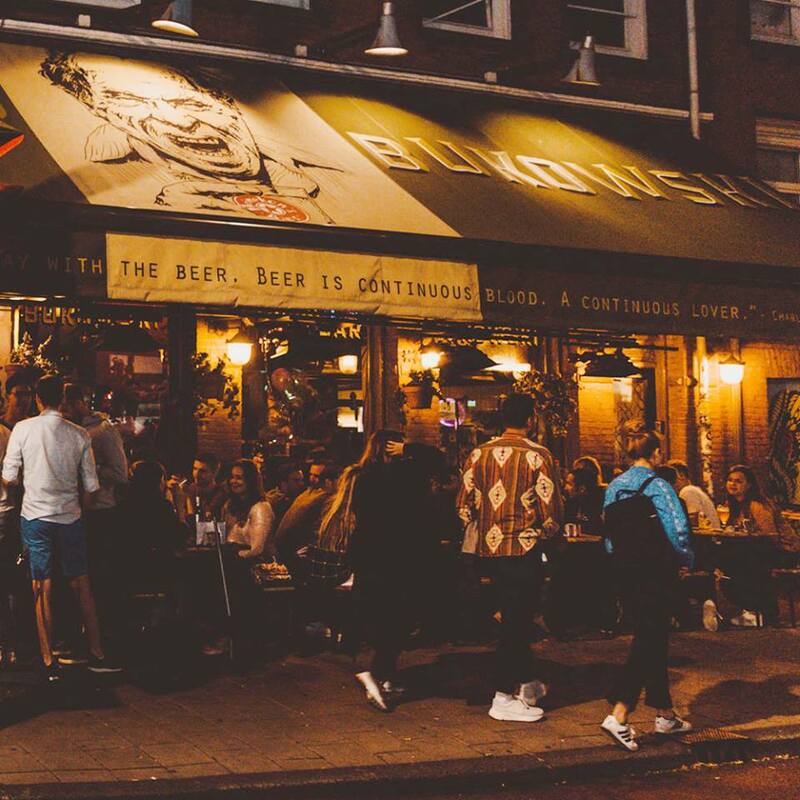 From 4:00 p.m. to 11:00 p.m. they serve bites like Flammkuchen, Super Nachos, Quesadillas and Cheeseburgers. On Friday and Saturday night the volume goes up with old-school R&B and pop blasting through the speakers. Dance the night away while enjoying one of their great cocktails or try choosing from their wide selection of craft beers. Winter or summer, the place is always packed. Tip: have a look at their Facebook page before heading here. They often host (free) poetry and music evenings.